Publius celebrates George Washington’s 283rd birthday and honors something he helped create, We the People, with some new homeostatic cannabinoid science. In four updates from the National Institutes of Health (PubMed) one reads of new cannabinoid research on epilepsy, the needs of our medical community, and further evidence of cannabinoid neuroplasticity (this time in the hippocampus). Washington harvested 5,000 pounds his first crop – of fiber that is – as well as 152 bushels of cannabis seeds his first year. 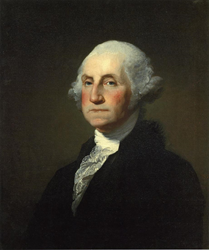 In We the People, Publius and George Washington’s Birthday Cannabinoids ~ New Science on the Bryan William Brickner Blog, Washington’s 283rd birthday and 34 years of growing cannabinoids are celebrated. Publius, of The Cannabis Papers: A citizen’s guide to cannabinoids (2011), showcases four 2015 National Institutes of Health (PubMed) cannabinoid system (CS) articles discussing: epilepsy and FAAH cannabinoid competition, pharmacoresistant epilepsy in children and CS treatments, our medical community in need of cannabinoid science, and further evidence of CS neuroplasticity (this time it’s the hippocampus).